ALMACO Group announced today that the German shipyard MV WERFTEN has awarded the company the newbuilding contract for luxury suites and galley areas for Crystal River Cruises’ four “Rhine class” luxury river yachts, which will be delivered in 2017 and 2018 from Wismar. The scope of work involves a total of 220 luxury suites and corresponding corridors as well as the visual turnkey delivery of the main galley and pantries, including galley equipment and lining for all four river ships. This project represents the first new construction delivery for ALMACO Group in the river cruise market. ALMACO previously refurbished the crew accommodation and catering areas onboard Crystal River Cruises’ Crystal Mozart earlier in 2016. The first two luxury river yachts, “Crystal Bach” and “Crystal Mahler” will be delivered in June and August 2017, respectively, and are 135 meters in length and 11 meters in breadth. Crystal Bach and Crystal Mahler ships sail along the European rivers Rhine, Main, Moselle and Danube. Each ship will have 55 ALMACO-built cabins, all of them suites, for up to 110 passengers. The suites will be of up to 70.5 square meters and will feature high-quality and luxurious finishes, which are ensured given ALMACO’s expertise in luxury accommodations. ALMACO’s expertise in new cabin and galley construction in both the cruise ship and offshore industries allows for great flexibility and adaptation to the standards of the river cruise market. Our extensive experience with luxury accommodations and catering areas positions ALMACO well to satisfy the demanding taste and expectations of the high-end customer Crystal River Cruises will cater to. MV WERFTEN, the three-shipyard group in Wismar, Rostock and Stralsund, was recently formed to design and build a series of river ships, mega yachts and luxury cruise ships including the largest cruise vessels ever constructed in Germany. 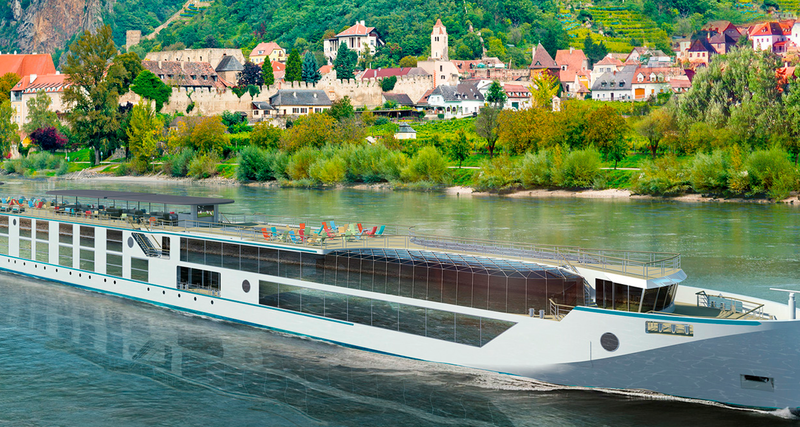 With extensive experience of 1,400 employees and modern production facilities, as well as the partnership with ALMACO Group, a market leader in accommodation and food handling solutions, the Crystal River Cruise vessels will provide the ultimate experience in luxury river cruising. The scope of this project demonstrates ALMACO Group’s competence to build and modernize all areas in a ship, both in the accommodations and food handling spaces, regardless of the size of the vessel. By selecting one vendor capable of delivering various areas onboard a ship, the owner can trust the work to a single accountable party facilitating the owner-vendor interfaces and reducing the risk. With a long story in both new construction and refurbishment of cabins, wet units, public spaces, galleys, provision stores and refrigeration machinery, ALMACO allows owners the ease of mind of trusting large scopes of work, whether it involves a mega ship or multiple smaller luxury vessels, to a qualified contractor with the expertise needed to carry out challenging projects within the required time schedule and to the highest standards. ALMACO will initiate work on December 2016 and will continue through the second quarter of 2018. MV WERFTEN comprises of three shipyards in Wismar, Rostock and Stralsund in the German state of Mecklenburg-Vorpommern (MV) and has some of the largest docks and covered fabrication facilities in Europe. The yards are located in a region with an excellent transportation and logistics infrastructure and have direct access to the Baltic Sea. Further investments in a laser thin-plate welding line, cabin manufacturing, state-of-the-art software and other automation will be made to make MV WERFTEN one of the most efficient cruise ship builders in the world. ALMACO has offices worldwide. Contact us at any of our locations to find out more about how ALMACO can help you with your newbuilding, modernization or spare parts and equipment needs. We would like to keep in touch with you. Stay up to date with our latest product developments and news. Please, be assured that we will treat your information with utmost care and will never sell it to other companies. You’ll be able to unsubscribe at any time. Click in our terms and conditions for more details. Yes, I would like to sign up ALMACO newsletter and stay up to date with products developments and news from Marine and Offshore markets. Yes, I would like to receive invitations to ALMACO events. Yes, I would like to participate in surveys to help ALMACO to improve their products and services.